This New Webkinz Lip Gloss is as sweet as ever. Yummy. You will like the taste. There are 4 fabulous flavors. Banana, Strawberry, Mango And Apple. 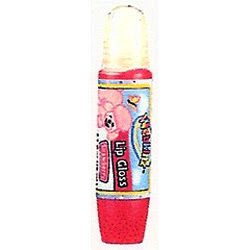 Your lip gloss will also come with a feature code you can use over at webkinz world. I hope you like surprises like I do. This lip gloss will give your lips a nice shine and it has a great fruity taste too. When you do unlock your feature code, you will be able to choose a piece of furniture from the salon collection. I am quite sure you will find a flavor that is right for you. Yes, there is a gloss for every occasion. Get your New Webkinz Lip Gloss today.